Do you need your Mercedes Benz towed Naperville or any surrounding South West Chicago Suburbs? From Downtown Naperville to Downtown Chicago our Naperville towing company is here for you and all your Mercedes towing needs 24-7. 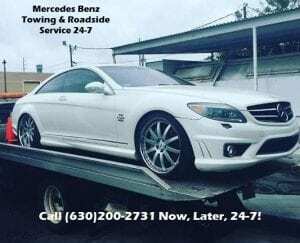 Does your Mercedes Benz need a towing service? From the Mercedes-Maybach S600, G-Class G63 AMG, SLS AMG super cars, to your S-Class, CLS-Class, M-Class, our team at Naperville’s Tow Recover Assist has the experience, equipment, plus knowledege to get your Mercedes Benz to where it needs to get safely and always cost effectively. Does your Mercedes need a flatbed towing service Naperville or any surrounding South West Chicagoland? 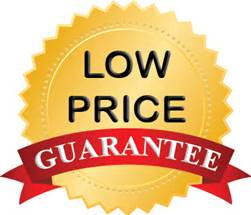 Are you looking for a reputable towing company that you can trust & afford to tow your Mercedes Benz? Are you looking for a towing company that has the expertise to tow your Benz? Call Tow Recover Assist 24-7! 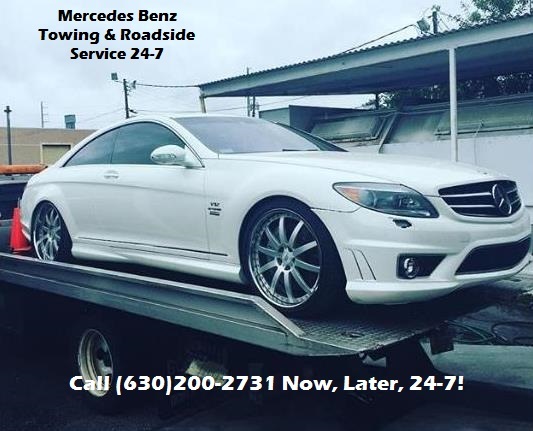 Mercedes-Benz towing & roadside assistance at it’s finest, available 24-hours a day 7 days a week. Offering towing & roadside assistance services A-Z including towing, flat tires, jump starts, lockouts, running out of fuel roadside assistance services just to name a few. How may we be of assistance? Call us now, later, day or night, rain or shine, sleet or snow, 24-7, Tow Recover Assist is always here for you. Check out what our customers think about our Mercedes Benz towing service!